Railings are one of those architectural elements that are frequently used in the landscape. If you have stairs, ramps, or any sort of terrace, you will probably need a railing. 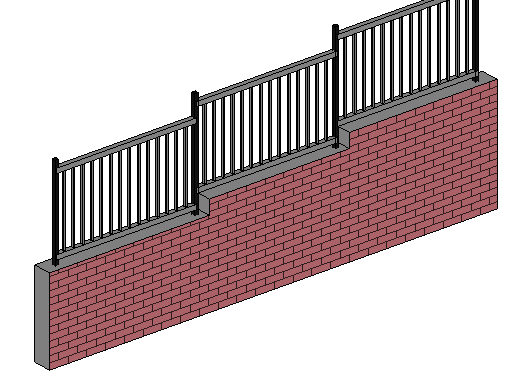 And while Railings are relatively easy to create in Revit, they can be quite difficult to fine-tune (and detail) accurately. One of the reasons that Railings are difficult to manage is that they are rather inflexible regarding both their structure and their hosts. 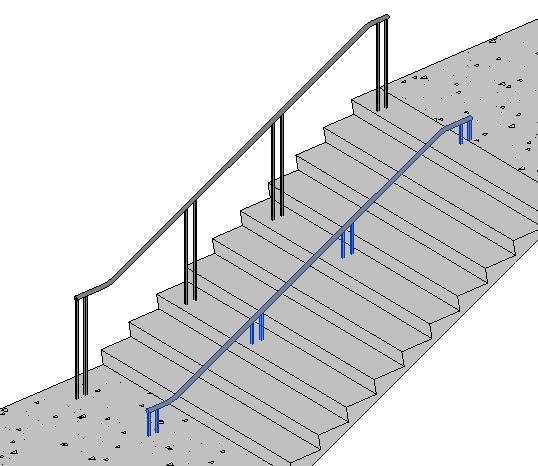 Railings can be hosted to Floors, Stairs, Ramps, or just a Level, with the limitation being that they cannot host to shape-edited Floors. But there is a feature that will allow you to give a single Railing multiple and varying slopes. This lesser-known feature appears in the Options Bar when modifying the path of a Railing. Essentially, the Railing must be split into different segments and then given a custom Slope or Height Correction. The Slope is specified by the Height of the next segment, so the Railing must always end with a level segment. If you’re looking for a more in-depth explanation, this has also been covered several times by Steve over at Revit OpEd, and there is a short video by HyunWoo Kim that demonstrates how it works. This feature has several useful applications. First, it allows you to create a ramp from Floors and then create an independent and continuous Railing that will “follow” the Floor. This is a great solution if you want to create your ramps from Floors (because the old Ramp tool is honestly quite terrible). It can also be used to “host” Railings to the top of sloped Walls. If you’re looking for a little more flexibility with your Stair Railings, you can also use this method to create a Railing that is entirely independent of the stair. The two railings below are the same type, but one is hosted to the Stair and one is not. And it also allows you to create a continuous stepped Railing, though you have to create and manage all of the individual segments and elevations. Great, I’ve never noticed the ability to slope railings. This should be really useful for safety balustrades on flat roofs if you’ve modified sub elements of the roof to create compound falls. I also didn’t know about it until today (before reading about it on Revit OpEd). Seems absurd, but that’s how Revit is- always learning something new.